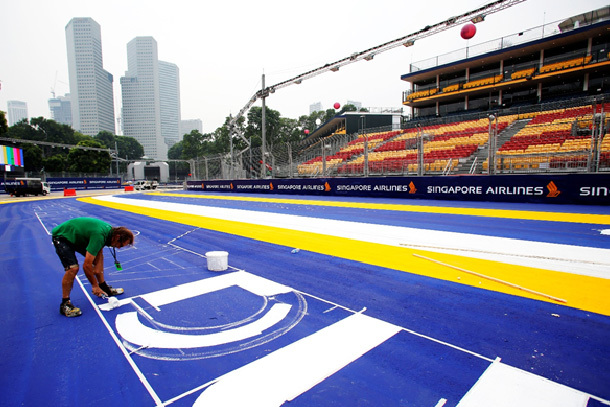 The FORMULA 1 SINGAPORE GRAND PRIX is one of the world’s great sporting events, and looks dazzling on TV – but constructing the temporary Marina Bay Street Circuit is all about perfecting the fine details in big numbers. 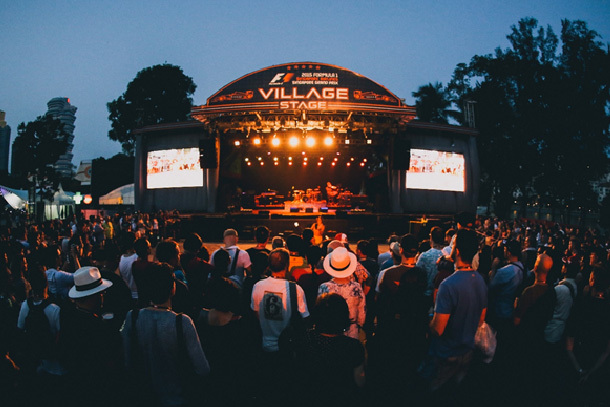 Despite a five-month build process, maximum care is taken by the organisers to minimise disruption to traffic and businesses in and around the 5.065km circuit – with all work done in phases, on a zone-by-zone basis. 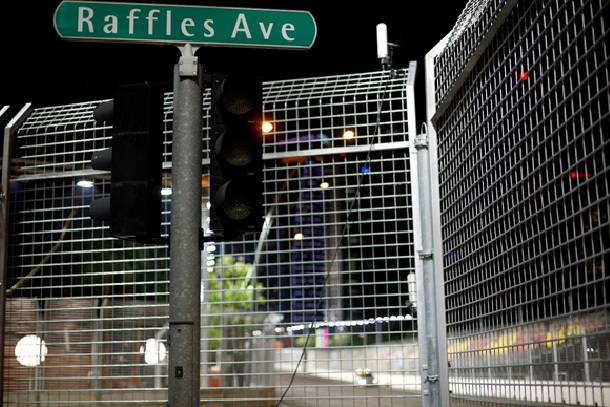 It all begins in May, when all race-related infrastructure (barriers, fences, cables, track lighting and more) is steadily removed from a 38,130sqm storage facility in the eastern part of Singapore. 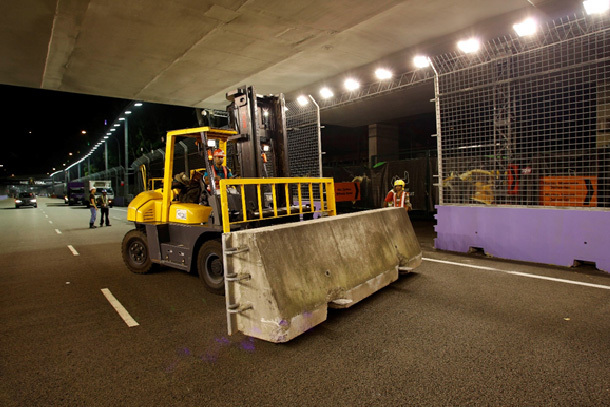 The first port of call is the pit straight, the circuit’s only permanent section, with contractors installing concrete barriers, debris fencing and lighting projectors – establishing one of the event’s key nerve centres. As the race infrastructure continues to be installed around the circuit across the next few months, so do the nine grandstands and corporate hospitality facilities that will accommodate the 86,000 daily spectators. 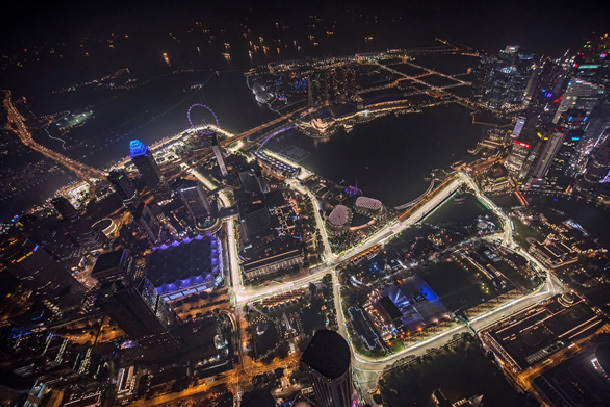 Of course, one of the most impressive aspects of the FORMULA 1 SINGAPORE GRAND PRIX is the racing under lights – with the state-of-the-art system from Italian lighting specialists DZ Engineering delivering optimal visibility for night race conditions. 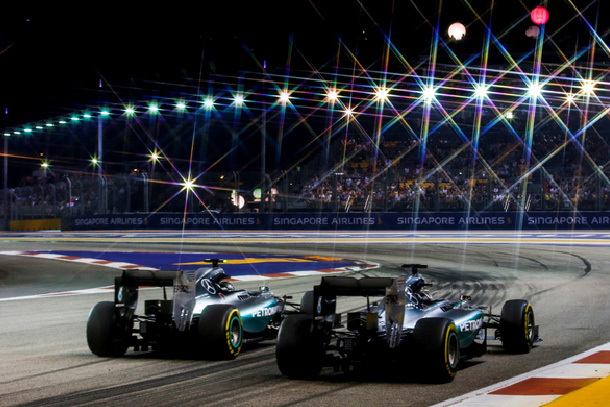 Featuring around 1600 lighting projectors strategically positioned around the track, the bespoke system ensures the world’s best drivers can focus on what they do best, racing wheel-to-wheel, with minimal glare and reflections from a wet surface or spray from other cars. As the weeks count down to the race weekend, the entertainment stages, tents for merchandise, and food and beverage outlets are installed. While on the pit straight, the Formula One Paddock Club, temporary Sky and Club suites are all being fitted out ready for the caterers to deliver a five-star experience. 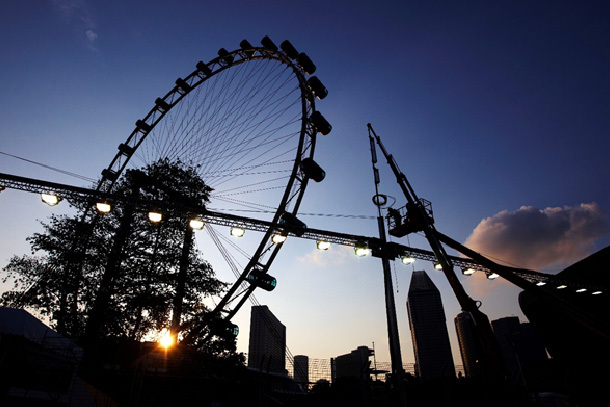 And, as the race weekend begins, the FORMULA 1 SINGAPORE GRAND PRIX organisers are planning the pack-down, and dismantle of the circuit – for its return to city streets with minimal disruption to traffic and businesses.